Disiac is a cozy, Moroccan-inspired lounge located in the Hell’s Kitchen area of Manhattan. This website redesign brings out the elements of the lounge and bar, which include square motifs and bright, lively colors. 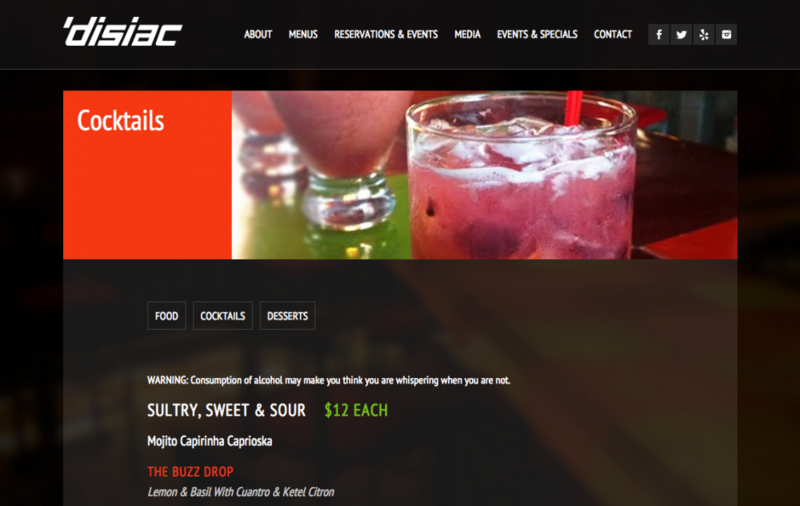 Disiac Lounge’s new website is built on a CMS, allowing the owner to make updates as necessary. Most importantly, the website is responsive, allowing tablet and mobile users to view the site with ease. The site also integrates Facebook updates onto the news page, making it easier to promote specials and news.